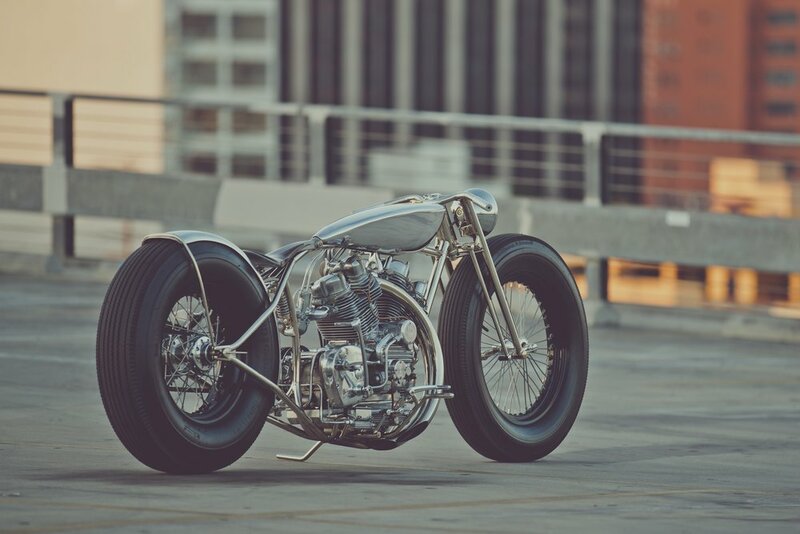 When Maxwell Hazan designs a bike the world takes notice. The two-time winner of Pipeburn’s Bike of the Year Award, Hazan crafts extraordinary vehicles with a dedication and skill that few others can match. With ‘The Musket’, the designer has gone to extreme measures to construct the bike he envisioned in his mind. Besides the wheels, tires, and headlight, every component was made by hand. Once you take away the constraint of using pre-made components your imagination can run wild. This is no better shown than in the engine of The Musket. The resplendent engine was first hand-carved in wood, then hand-cased at a foundry before being hand-machined. It’s a big engine, so the next design challenge was creating a bespoke frame to carry it. The tires are BF Goodrich Silvertown tires – car tires no less. The springer mechanism in the forks was modified from compression to tension, ultimately allowing for the super-thin steel you can see. 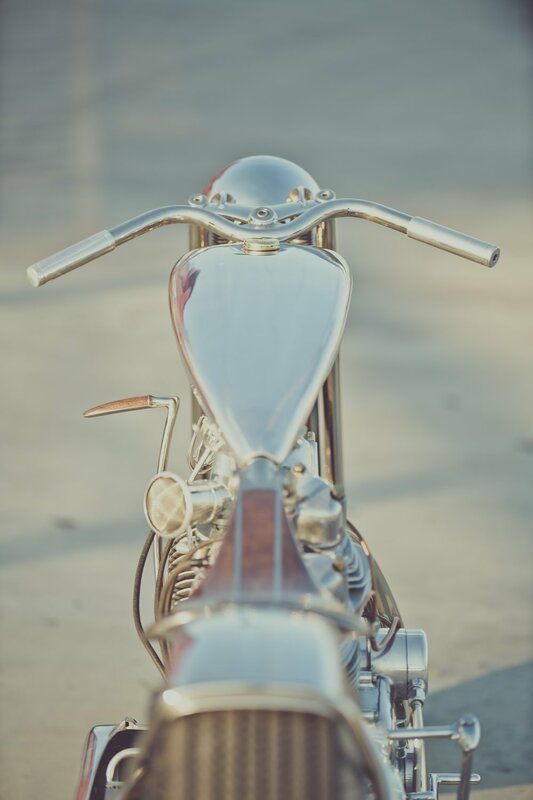 Though there is stunning detail in the engine block, aluminum tank and fenders and steel frame, there’s also restraint and a nod to minimalism. Cabling and wiring are all hidden for a completely clean aesthetic, making for a timeless two-wheeled work of art.